This model is 183 cm and wears a size M. Their chest measures 96 cm and the waist 71 cm. Hit the gym or make your daily rounds, even when the temperature drops. 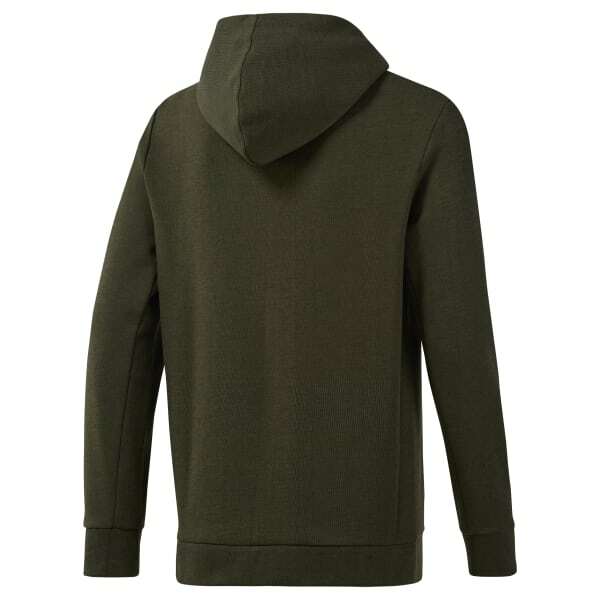 The textured fabric on this men's training hoodie gives it a structured look. 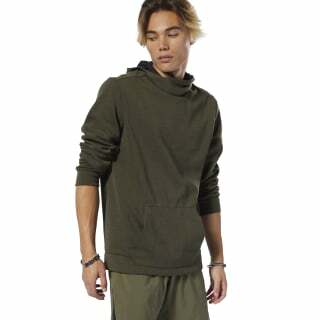 The sweatshirt has an overlap hood construction for extra warmth. Backward side seams let you move with ease through the chill of early-morning workouts.